Cedar Hill is widely known for having some of the best hiking in Dallas, and that tie to nature and walking is evident in the City Center Development Plan. New enhancements to the City of Cedar Hill are on the way, and they are designed with businesses, residents and consumers in mind. The next phase of development for the city focuses on improving the accessibility and walkability of each of the three distinctive zones within the City Center area including historic downtown. These improvements are designed to make the city easier to explore, more convenient to shoppers and employers, and to build upon an already thriving and unique downtown area. As one of the best suburbs in Dallas, the City of Cedar Hill already draws new arrivals from all over the state; the latest enhancements make it easier than ever to enjoy all the city has to offer. The enhanced walkability is part of the City of Cedar Hill’s ongoing improvements and is designed to build upon the success of the overall Vision Plan. This stage, called the City Center Development Plan, focuses on taking one of the best downtowns in Texas and making it more easily accessible to pedestrians and visitors from the local area. The plan focuses on benefits for the three sub-districts of Cedar Hill – Uptown, Midtown and Historic Downtown – each of which has distinct needs and opportunity. By creating a plan that benefits each zone, the Cedar Hill as a whole is strengthened and made more appealing to both brands and consumers. 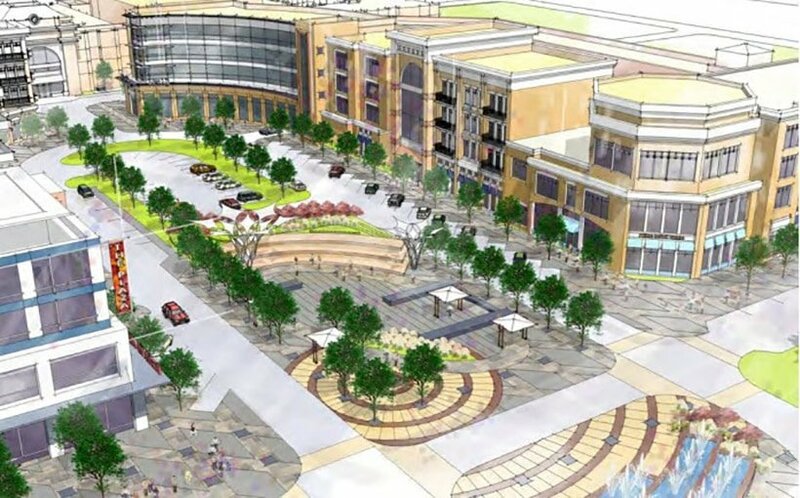 The focus on accessibility and enhanced walkability is also designed to draw patrons from the best suburbs around Dallas and to make Cedar Hill a charming and attractive destination for shopping, dining, work and play. The heart of the development plan is an enhanced focus on transit-oriented development (TOD). This approach takes a long-term view of the area and integrates improvements that increase commerce and visitor counts but decrease traffic and carbon emissions. The result is a diverse and thriving marketplace with a balanced mix of commerce, retail and restaurant and residential zones that benefit both businesses and consumers. For businesses in the area – or businesses planning to open in the area – the enhancements to Cedar Hill’s walkability means more opportunity. By creating appealing, easy-to-access and clearly defined walking areas, the town makes it easy for pedestrians to explore. When shoppers, hungry patrons and workers can simply walk to their destination without the hassle of driving or looking for parking they are more likely to stay right in town – and use local businesses. The City of Cedar Hill is already considered one of the best places to visit in Dallas-Fort Worth; the upcoming changes make this desirable destination even more appealing to visitors. The current emphasis on healthy lifestyles means these changes come at a great time and that more foot traffic than ever before will be window shopping and accessing local restaurants and cafes for breakfast, lunch and dinner. Businesses can tempt shoppers with the smell of coffee, fresh-baked pastries or savory lunch specials as they walk by – and take advantage of display window space to showcase new arrivals and seasonal goods to slower-paced foot traffic. Walkable cities in Texas enjoy more visitors, more commerce and more revenue every week. For consumers, the ability to simply walk where they need to go or find easy and secure public transportation reduces costs and hassle. Without parking or traffic woes, these potential shoppers and diners are able to get in a healthy walk and access friendly, local services and brands more easily than ever before. Attracting more businesses to the area also makes the City of Cedar Hill more appealing, making this already thriving area even more of a draw for potential shoppers. As more brands and organizations take advantage of Cedar Hill’s prime location, diverse customer base and unique advantages, more jobs will be created in the area, resulting in additional commerce and a boost to the local economy. In turn, businesses will be able to access a broad range of talent, as workers can more easily arrive in town from surrounding suburbs and are attracted to the benefits of living in this thriving community. Reducing traffic helps cut down on carbon emissions, allowing for a greener place to live, work and play for all, one of the long-term goals of the City of Cedar Hill. By dramatically reducing the amount of traffic in the area at peak times (work arrival, lunch, etc. ), Cedar Hill becomes more appealing to walkers and visitors and more accessible to all. The coming enhancements allow the City of Cedar Hill to continue to be one of the top destinations and suburbs in Texas.